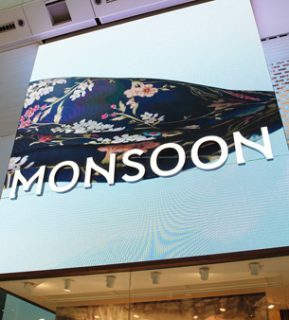 Monsoon have launched their new store concept at their flagship store in London’s White City shopping centre. 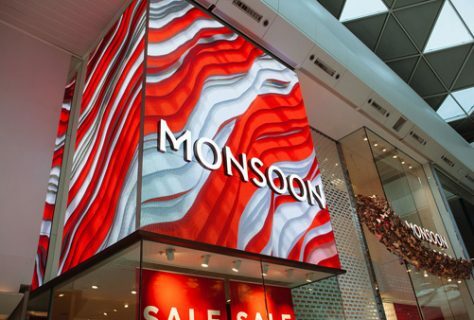 This is a new digital facia that features above the stores entrance. 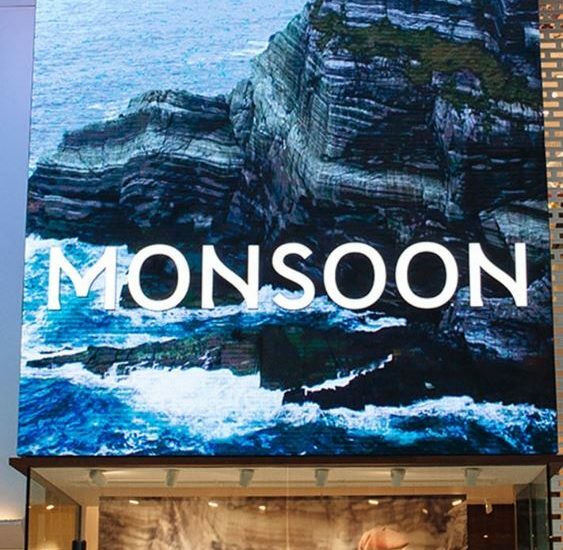 Their new digital canvas is engaging and inviting for customers as well as bringing the brand alive by interacting with Monsoon’s latest prints and products. The use of this technology allows the brand to change the imagery that is displayed, this ensures the technology is future proof and ensures flexibility. Monsoon can also update the images that are shown which means the new seasons products can be highlighted in full view of every customer. The interchangeable nature of this technology ensures every background on this screen is seasonally appropriate. This new store front puts more emphasis the customers shopping experience which is becoming ever more popular on the UK high street.